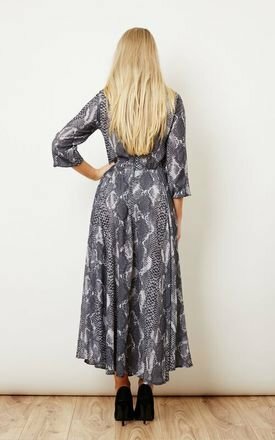 Be bang on trend this autumn in our Snakeskin Print boho maxi dress. 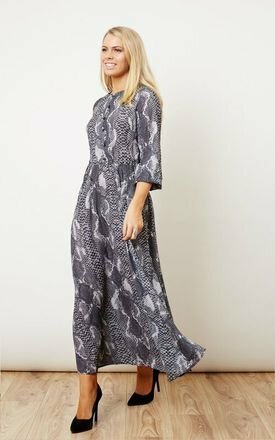 It’s the perfect cross seasonal dress to pair with your favourite sneaks and trench or your warmest boots and big knit when the days get a little colder. •	Available in size XS/S, UK 6/8. 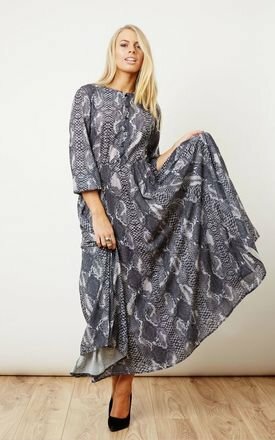 •	Dress is 37 inches from the waist.